I know my brain works differently from the brain of almost anyone around me. I am on the spectrum. That is not bad. Bad is trying to make my brain work like the brain of almost anyone around me. Bad is trying to fit in and pass for something I’m not. 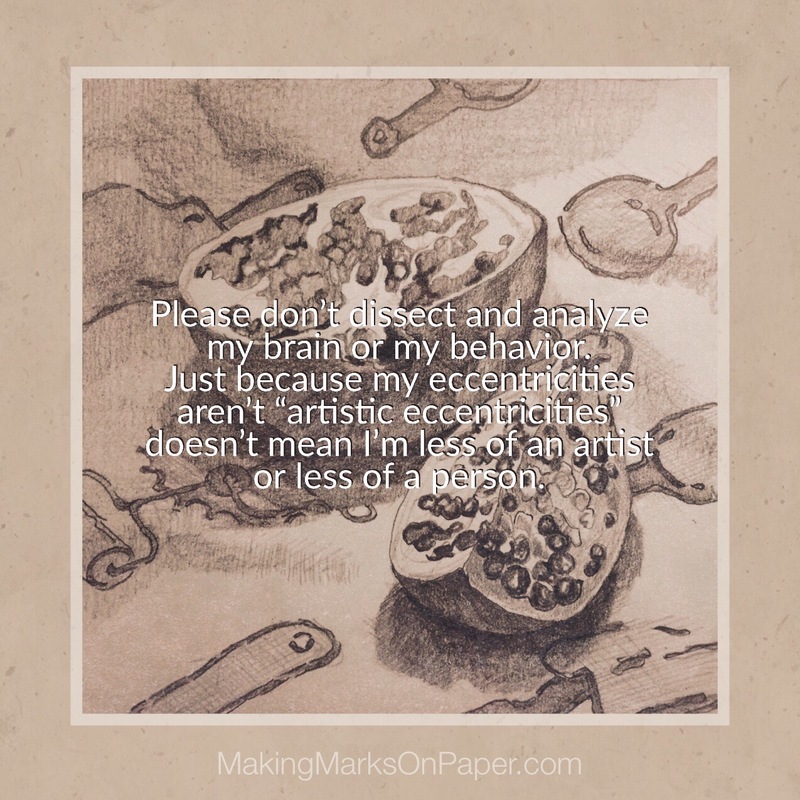 Even in the world of art there seem to exist preferred ways of being and doing; “artistic eccentricities” are expected while “autistic eccentricities” are rejected. I don’t understand the high value that seems to be placed on being noticed as a flashy, dynamic, “artsy” individual. I have felt like a painfully set-apart individual all of my life. Why must I try to prove that to anyone? Would having the expected outward appearance of a contemporary artist make my drawings any better? Would I feel more “free” to create? Please check out my main Making Marks On Paper page for a visual table of contents.